One of the greatest joys that we can have as Christians is the joy of leading someone to Christ. Think of it! You and I can be God's instruments in the salvation of others. Why is it so important to learn how to win others to Christ? Because of the value of a human soul. Why is the human soul of such great value? Because it will live forever. Every person you meet has a soul that will live forever—either in the blessings of Heaven or in the miseries of hell. God values the souls of men so highly that He sent His Son to die on the cross that men might be saved. When we see how precious all men are to God, we will do all we can to win them to Christ. 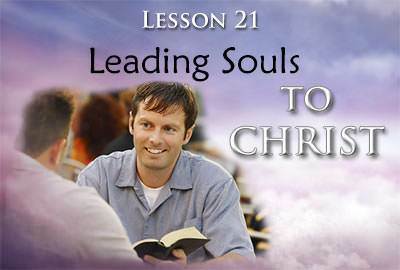 In this lesson we are going to learn how to lead others to Christ. To win souls, we must know how to use the Word of God. 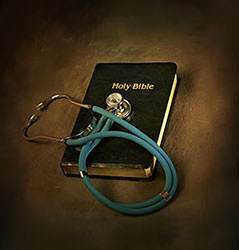 Just as a doctor does not give the same prescription to every patient, so the same verse will not meet the need of every person. 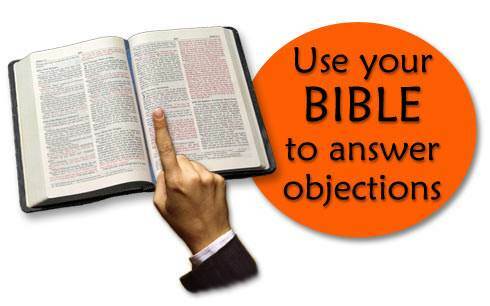 You must have a good working knowledge of the Bible. 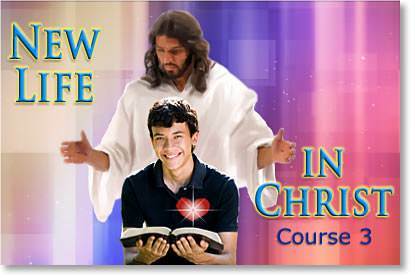 In our last lesson we learned how to obtain a working knowledge of the Bible. Are you reading your Bible daily? Are you memorizing Scripture? Have you established your Quiet Time? Do not neglect these things if you want to win souls. If we are to be soul-winners, we need something else: we need the power of God. The soul-winner's power comes from the Holy Spirit. 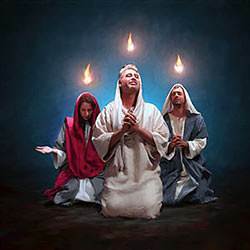 On the day of Pentecost, the disciples were filled with the Holy Spirit. Peter stood up and preached in the power of the Holy Spirit and approximately 3,000 souls were saved. Today, EVERY believer has the Holy Spirit dwelling in him. It is the Holy Spirit who convicts people of sin; it is the Holy Spirit who shows people their need of a Saviour; and it is the Holy Spirit who reveals Christ to them. Ask God to fill you with the Holy Spirit so that you can be an effective soul-winner. Get these four facts firmly fixed in your mind, because you will use them in leading souls to Christ. In leading someone to Christ, you simply explain the four basic truths of the gospel. 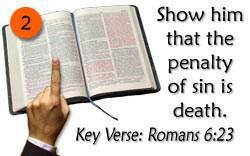 The next step is to show him from God's Word that the penalty of sin is death. "For the wages of sin is death…" Explain that the word "death" as used here means separation from God, in the lake of fire, forever. Because we are sinners and condemned to eternal death, we need a Saviour. Our next verse is a very familiar one—John 3:16. Let him read it. Whom does God mean when He says "the world"? He means every one. This includes you and me. What did God give to us? He gave His Son to us. This means that He gave Jesus to die on the cross for our sins. Why did God give us a Saviour? Because He loves us and because we need a Saviour! We cannot save ourselves, so God gave Jesus to us to be our Saviour. If I give you something, do you have to pay me for it? No. Do you have to work for it? No. But there is one thing you must do—you must receive it. 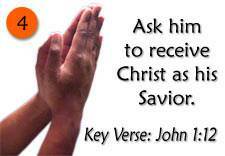 God has given the Lord Jesus to us to be our Saviour, but we must receive Him. Now turn to John 1:12. Have him read this verse. How does one become a child of God? By receiving the Lord Jesus. "As many as received Him, to them He gave the right to become children of God…"
Now you can ask these questions: Do you believe that Jesus Christ is the Son of God? Do you believe that He died on the cross for your sins and rose again? Do you believe that He is able to save you? Do you believe that He is willing to save you? Do you believe that He would come into your heart and save you right now if you asked Him to? "Lord Jesus, I know that I am a sinner. I believe that You are the Son of God, and that You died on the cross for my sins. Please come into my heart right now, and be my Saviour." 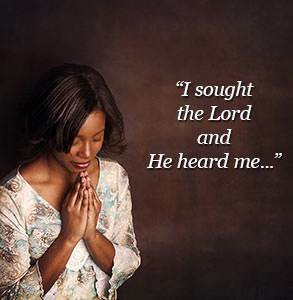 When a person truly receives Christ as his Saviour, God wants him to know that he is saved. How can a person know that he is saved? He can know (1) by believing God's Word, and (2) by the witness of the Holy Spirit. 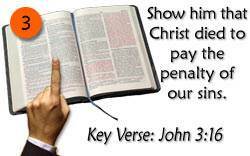 A good verse to use for assurance is John 3:36. Note that God speaks of two groups of people in this verse—those who believe on the Son, and those who do not believe on Him. What does God say about those who believe on the Son? He says, "He who believes on the Son has everlasting life." The word "has" means that you have it—right now! Now turn to 1 John 5:11-13. 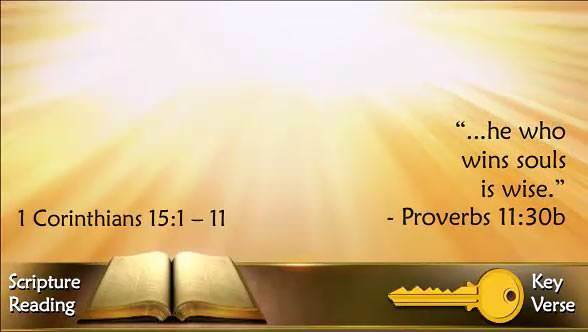 Notice in these verses that God says that we can know that we have eternal life. How can we know that another person is saved? We cannot know for sure. We may sincerely believe that a person has received Christ as his Saviour, but we may be mistaken. For this reason, we should never tell a person that he is saved. This is the work of the Holy Spirit. In seeking to win a person to Christ you must be bold, yet you must be tactful and courteous. 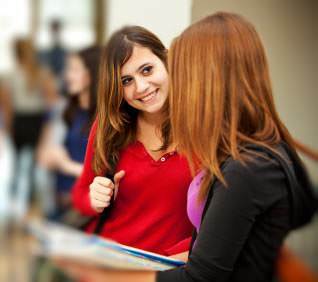 You must turn the conversation to spiritual matters without causing offense. Next, you must find out what a person believes about the way of salvation. After you have explained this, you can ask, "Would you like for me to show you from the Bible what God says about how a person is saved?" If the answer is "yes," then you can proceed with the four steps (given above) in leading a person to Christ. The essential quality of a soul-winner is love for people. You cannot win souls if you do not love souls. God loves all people—all are precious in His sight. Ask God to fill your heart with His love. How old does a child have to be to be saved? Old enough to know that he has done wrong. 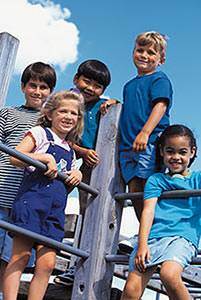 How do you lead a child to Christ? 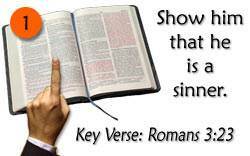 Simply show him from God's Word that he has sinned and that he needs a Saviour. Then tell him about the Saviour who died for his sins and ask him to receive Jesus into his heart. "I am not a great sinner." Answer: God says that we are all sinners. I'm a Baptist… Methodist… a Catholic, etc." "There are hypocrites in the church." "I would have to give up too much." "I am waiting until I become better." "I am afraid I can't live the Christian life." Answer: We are not saved by our good works, but through faith in Christ. "I think one way is as good as another so long as you are sincere." "I don't want to give up my sins." "I don't believe in hell." always use your Bible when leading people to Christ. Even though you may be able to quote the verse, it is better to let the other person read it himself. interrupt people. Try to find out their problem, but don't get side-tracked. Keep bringing them back to the matter of their relationship to the Lord Jesus. be careful of your breath. Don't offend people needlessly. admit it when you don't know the answer to a question. Just say, "I don't know the answer to that question, but I am sure there must be one. One thing I do know—Jesus Christ changed my life, and He will do the same for you." value every person highly. We must see every person as one for whom Christ died. If we look down on, or despise any person, we are not worthy to be Christ's servants. One of the greatest hindrances to personal work is the fear of people. We are afraid of what others will think. A Christian who was a fearless personal worker was asked if he had always been bold. He replied that he had once been as timid as anyone. One day he could stand it no longer. He fell on his knees with his Bible open at Psalm 34:4: "I sought the Lord and He heard me, and delivered me from all my fears." He said, "Lord, You did this for David. Do it now for me." God heard his prayer and answered it. Ask God to do the same for you. You have the message that brings eternal life to people, and you must give it out boldly. When we are fearful of people, we make them bigger than the gospel message. This is sin. There are people all around you who need to be saved. Begin now to pray for them. Watch for an opportunity to witness to them. Learn the four basic truths of the gospel. Be ready and God will use you. Don't be afraid of making a mistake. You will make the greatest mistake of all if you don't try to win someone to Christ.